Over the years, Assam has transformed into an attractive tourist destination; and no, it is not because of tea! A lack of proper access in the past has helped this state preserve its natural beauty and intriguing aura, which is a breath of fresh air for the rest of us dwelling in concrete jungles. 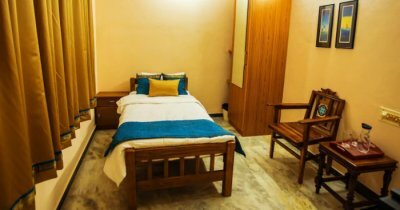 Guwahati, which is labelled as the pseudo-capital of Assam not only has tourist attractions and stunning mountains, but also luxurious resorts that make you feel at home. Here’s our list of best resorts in Guwahati where you can stay at peace and enjoy the ever-pleasing weather and picturesque views. Soak in the vibe of the mountains at these luxurious resorts in Guwahati. From luxurious to cozy, choose the one that lets you enjoy nature and comforts the best! Suggested Read: 10 Best Tourist Places Near Guwahati For A Pleasant Vacation Away From Crowd! 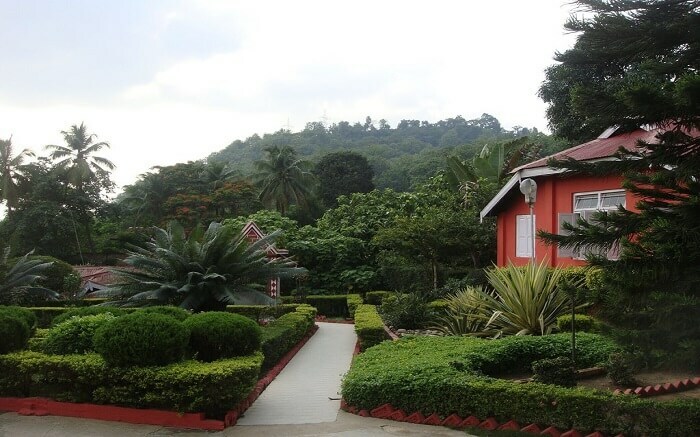 On the list of resorts in Guwahati, Brahmaputra Jungle Resort offers incredible views with soothing tranquillity. The smart location makes this resort perfect for exploring the prominent attractions on foot. The nearest airport is also only half an hour drive. The resort has 14 rooms all of which are equipped with all the essentials. The restaurant and bar offer a warm space for unwinding in the evenings. What’s special: Boating, water games, trekking and shooting games. All organised inside the resort compound. 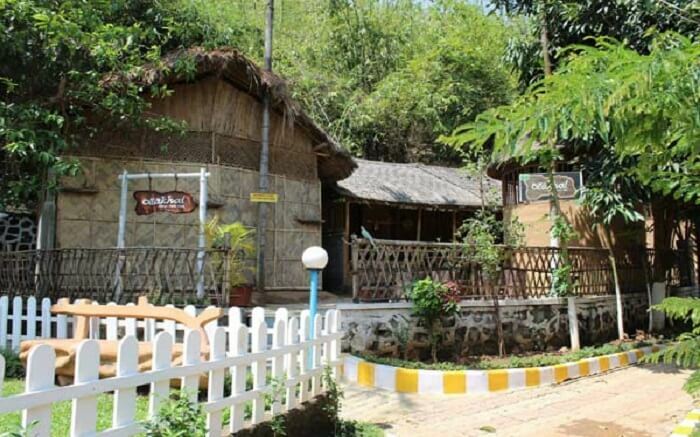 One of the best resort in Guwahati, Zizina Resort is built adjacent to the Pobitora Wildlife Sanctuary. The resort is luxury at its best; it includes a coffee bar, restaurant, bar and aesthetically designed rooms. The resort is nestled in a beautiful property away from the noisy city but the attractions are only a short ride away. 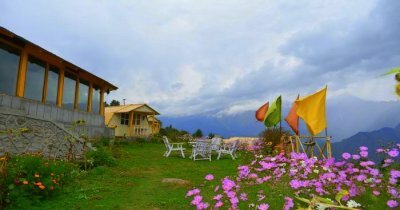 What’s special: Close to Pobitora wildlife sanctuary, offers jeep safaris and bicycle rentals. The accommodation includes tent-style spaces and mud houses. 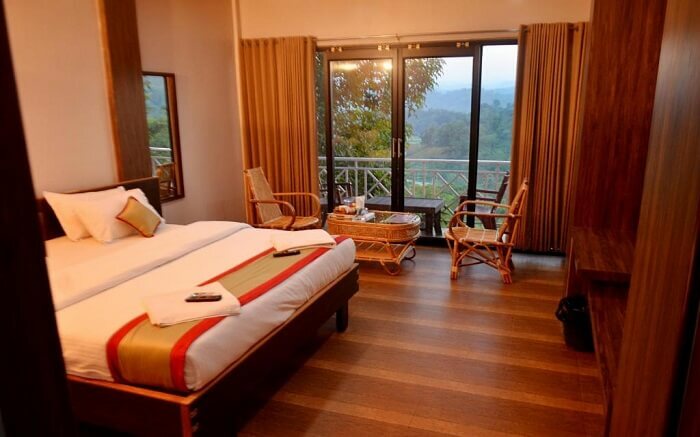 Must Read: 15 Best Hotels In Guwahati That Are So Elegant You Wouldn’t Feel Like Leaving Them! Among the best resorts in Guwahati, Spring Valley Resort is set in an extremely calm and serene environment. 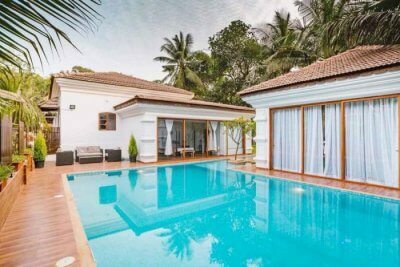 The property is beautifully put together with beautiful interiors and spacious rooms. Apart from the usual amenities, the resort also has a doctor on call, conference rooms and tour guides. Pick up/drop facilities are also offered. What’s special: Horse riding, boating, elephant riding, camel riding, waterfront bar, native folk entertainment and jeep safari. 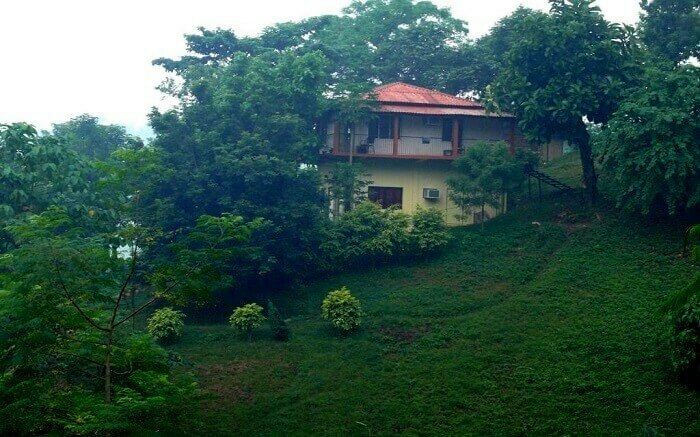 A lifestyle resort surrounded by tea gardens and green hills, Aarian Woods is a cosy abode. All the 16 cottages showcase modern design and architecture. 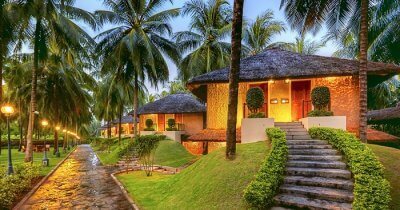 The resort is said to be one of the best places to stay in Guwahati. 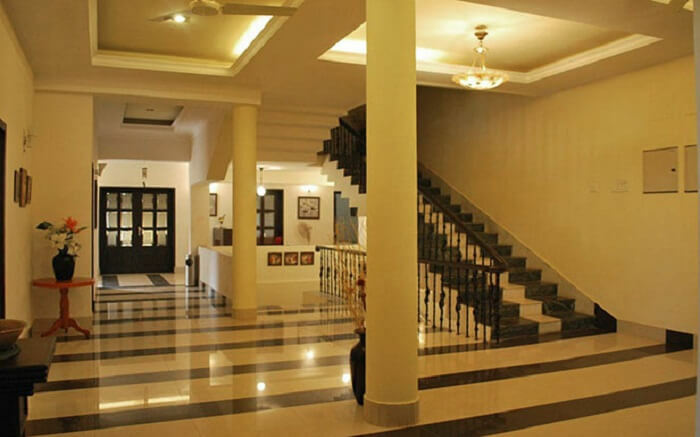 From round the clock services to luxurious facilities, all of it is managed by well-trained and professional staff. What’s special: The restaurant offers delicious native dishes. The cottages are warm and cosy, the staff is professional. The resort also houses a handloom section that exhibits the local handicrafts. 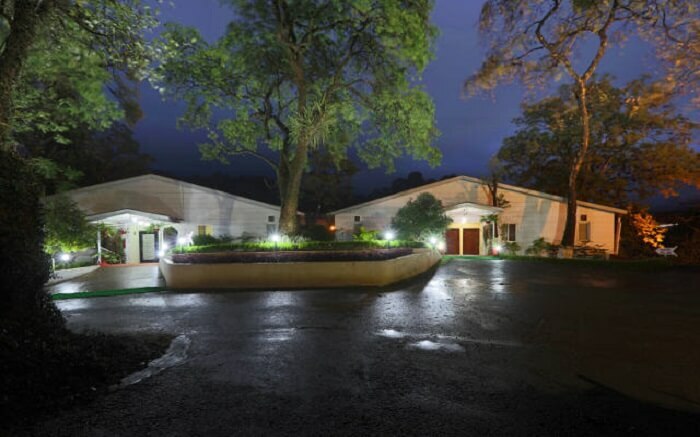 Located near to the Umananda temple, Green Wood Resort, Guwahati offers six different accommodation options for travellers. All the rooms are beautifully put together and feature the basic necessities. The resort also includes fitness centre, park and game zone for children, and a separate vegetarian restaurant – Fotika bar and restaurant. For native Assamese delicacies guests can head to Machan and Pinewood restaurant – both of which also offer Chinese and continental choices. The resort also includes a bakery which serves freshly baked cookies, breads and pastries. What’s special: Offers a luxurious stay, wide array of dining options, good location, and cabs are only 5 minutes away. 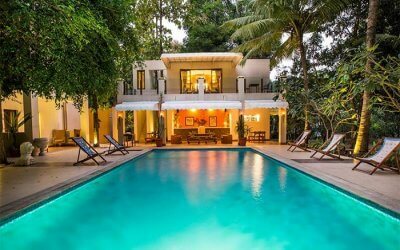 One of the newest resorts in Guwahati, the residency resort was once a bungalow which was later converted into a boutique hotel. All the rooms are large and well-designed. The owners live on the property and they offer a homely experience to travellers. Whether you’re looking for luxury hotels in Guwahati or resorts, the comfort and facilities here will make you feel at home. What’s special: The location is its best feature. Although it is in the centre of the city, the resort is located on one of the quieter roads. Apart from the dining facility, there is also a hip lounge bar. 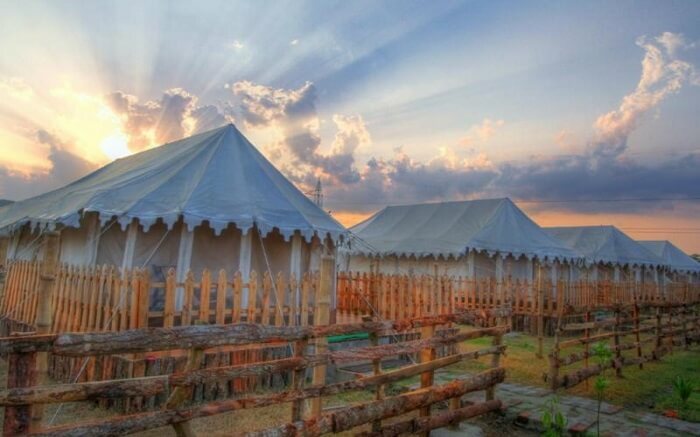 Experience the best hospitality, comfort, and scenic charm in these resorts in Guwahati. Already been to one of these? Share your experience with us and help your fellow travellers plan their trip to Assam.